If you struggle with anxiety, if it’s getting in the way of letting you feel like you have ownership of your life, and particularly if you’ve been beating yourself up for not being able to get a better handle on runaway thoughts or feelings of stress, overwhelm, or dread, I’ve got some news that might bring you a sigh of relief: your anxiety is not your fault. In fact, one of the key reasons you could be struggling with anxiety is that it’s your hardwired default. The story starts in two little almond-shaped organs on either side of your brain, called the amygdala (almond in Latin). These primitive brain centers serve as your natural electronic surveillance system, constantly scanning your environment for and reacting, more or less depending on the level of threat (or perceived threat) to anything that seems to jeopardize your safely or survival. Some threats are programmed into us on an evolutionary level: for example, menacing faces, someone screaming at you, the smell of smoke or sighting a fire where it isn’t supposed to be, the odor of noxious gasses. Others are learned – for example, any images, sounds, smells, facial expressions, or physical gestures that your brain consciously or unconsciously associates with a past threat or trauma, or a perceived threat or trauma. It is in the amygdala that PTSD (post traumatic stress disorder) memories and responses get formed. Within split seconds of perceiving a threat, this primitive part of your brain sounds the alarm, sending a chemical distress signal to the front-runner in your Hypothalamic Pituitary Adrenal (HPA) Axis – your Hypothalamus. The hypothalamus, a tiny gland in the front center of your brain, serves as a rapid relay station. The Survival Response signals, once registered, then get passed onto the pituitary gland, another major hormonal regulatory center quite close by in your brain, and from there, all the way down to your adrenal glands, where your body translates these signals into action, providing the fuel you need to escape or fight the danger (thus this is called the fight or flight response). The adrenal glands initially respond by pumping out a chemical called adrenaline, which you’ve no doubt heard of before. Under adrenaline’s influence, your heart rate quickens and your breathing changes to get more oxygen to the reaction centers in you brain and to your muscles, your pupils dilate to take in more peripheral vision and help you see, and your mind becomes hypervigilant (also called hyperarousal) – you become keenly aware of and sensitive to every possible threat or hint of danger in your environment. In the short run, some people actually love the feeling of adrenaline. It gives us a rush. Some even get addicted to it. Think rollercoasters, horror movies, and bungee jumping. But when this rush becomes chronic, it’s not fun anymore. Your Survival Response is only meant to be activated in times of danger, and only supposed to last for a few minutes, long enough to get us out of harm’s way and let your brain do the work of cataloging the danger so you recognize it even faster next time. Here’s one of the problems at the heart of our 21st century living – our stress response rarely ever “turns off” unless we practice doing it intentionally. The Survival Response, as intelligent and evolved as it is, can’t differentiate between whether you’re being chased by a lion, the stress of your boss yelling at you, your baby sitter not showing up on time, or seeing your tax bill. It just knows that something’s wrong and you need protection. Think of how you feel when you’re walking through a parking garage alone late at night and hear footsteps. Hypervigilant. Ready to spring. Maybe even panicked. Over time you can also end up with a host of other problems including exhaustion, depression, cognitive problems, sugar cravings, weight gain, or Hashimoto’s, and SOS increases your risk for diabetes, heart disease and dementia. Does having your stress response system stuck in the “ON” position sound familiar? 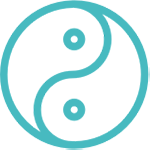 If you’re struggling with chronic anxiety, or other symptoms of Adrenal Overdrive or Adrenal Depletion, SOS might be the cause. Being “ON” all the time is exhausting and so many of us are experiencing burnout and serious health symptoms as a result. You remain in overdrive, “all systems go.” Your body tries to adapt, until it can’t anymore. You end up feeling like you really do want to shout out SOS! It’s a problem millions of women are facing, and most doctors don’t know how to recognize, let alone treat beyond what they can write for on their prescription pads – too often a potentially addictive and dangerous anti-anxiety medication. The first step to overcoming anxiety is to recognize it for what it is – a set of feelings that are the result of a series of biological responses to a perceived threat. Pay attention to what happens when you become anxious? Your heart rate increases, your breathing accelerates, you may start to sweat, and your mouth might get dry. You may feel that you are going to pass out. Or you may have an urge to run, flee. You may have difficulty concentrating or experience memory lapses. You may experience nausea, chest pressure or pain. At bedtime you may be unable to fall asleep. 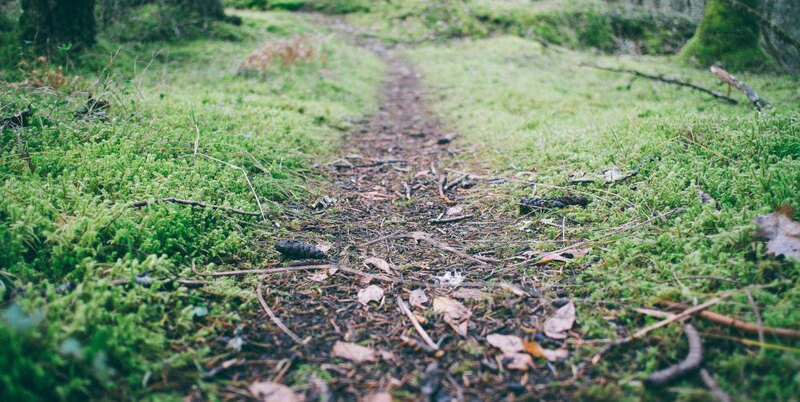 You may feel a sense of impending doom – even that you are going to die. But you are not. These are the signs of anxiety. It is your body’s flight-or-fight response kicking in. One of the quickest ways to reset your response from going down an anxiety pathway is to learn to use your breath for a quick reset. The quickest reset comes from doing The Quickie – a meditative practice I’ve been teaching patients to successfully get – and stay – out of an anxiety reaction, even if it’s started to get its hooks into you. For more “advanced” practice in learning to use your mind and breath to get and stay out of anxiety, check out the HeartMath emWave, an affordable and effective biofeedback device that you can easily use at home. After your shower, grab a notebook and pen, and jot down one thing you’re proud of from your day, one thing you’re grateful for, and one thing you’re looking forward to the next day. Hop into bed and begin to breathe slowly and deeply, using The Quickie to bring yourself into a deep relaxation state until you fall asleep. Herbs and nutritional supplements are a beautiful complement to support you in healing the impact of the stress of modern living, and even the impact of past trauma, on your Survival Response System. They can help heal from anxiety and allow you to live freely again. To learn more about my top favorite overall supplements for healing anxiety, see my article 7 Steps for Living Your Life Anxiety Free and click here to download your FREE copy of my Top 7 Herbs and Supplements for Healing Anxiety. In my medical practice, I work with women every day who have struggled with not only anxiety, but also with many of the short and long term consequences of living in SOS. 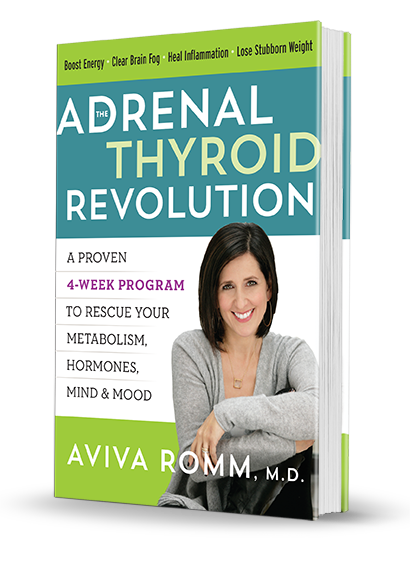 It’s precisely why I wrote my book, The Adrenal Thyroid Revolution: A Proven 4-Week Program to Rescue Your Metabolism, Hormones, Mind, and Mood. The Adrenal Thyroid Revolution was written in response to women’s need for the same natural, practical, and sustainable ways I use in my medical practice, to get out from under the struggle of feeling like their moods, energy, immunity, hormones, and focus have been hijacked, and to prevent and reverse the impact of SOS on our adrenals and thyroid, which also takes a big hit in a lot of women, leading to millions suffering knowingly – or unknowingly – from the symptoms of Hashimoto’s. You can get your copy here, and join the revolution to take back your health so you can get truly well, without having to rely just on a fix from a prescription pad. Pre-order the paperback version (out in February) now and you’ll also receive special gifts to help you restore your HPA response so you don’t have to battle chronic anxiety anymore. And of course, I always look forward to hearing from you in the comments section! Thank you Aviva, Im not going crazy! I have been researching this topic for many years. I have been to many doctors, (internists, endocrinologists etc) and have never had an explanation like you just described. You described me to a T in this article. I get horrible brain fog, heart palpitations, and chest pressure, I become so scared of having a heart attack. I have called the ambulance at least four times thinking I was dying. They have done all kinds of tests on my and they always come back normal. Intellectually I know there is nothing wrong with me but when I have these attacks the fear is so strong. Interestingly enough they started happening more and more when I was teaching a ton of fitness classes. I was also drinking a lot of coffee, waking up at 4:30 to meet with clients and teach etc etc. I also love running I use to love the 'high' but now it scares me. I feel like a ball of nerves all the time.I would love to get back to my healthy self. My adrenals are so sensitive now, I swear I can think it and my body will release adrenalin. Does that make sense? Im also a single mom with three very active kids and just went through a very stressful divorce. Ummmm ok I need to start taking care of myself. I'm ordering your book. Thank you! How could I identify if my anxiety is adrenal-related? It has been an issue almost all my life and it had a real toll on my general health. Now that I am a mother, it is going on strong and I really want to calm down because I am afraid I cannot function well when I feel this overwhelming anxiety and I definitely don't want to pass this on to my child. Anxiety pretty much always involves the adrenal stress system - whether as a part of the trigger or as a response. There are also other reasons for anxiety - real current life stuff going on, gut health especially dysbiosis, chronic inflammation, low blood sugar....and as I talk about in my podcast When Good Things Happen in Life... being a mom can really activate "hypervigilance." Working on learning to nourish our relaxation response (breathing, meditation, HearthMath Em Wave 2, improving sleep, etc) is a great place to start to reset your nervous system and from there you can use the gentle support of herbs to see if that helps. As a birth doula - preparing to enter midwifery training - I find that so many of the women I serve have issues with anxiety. Many of the FTP's in the birth process are centered around this angst. This is amazing! I will begin applying it to my own life, so that I can be an example to the women, and share with them firsthand what my journey is. THANK YOU! Hello! Just started reading your book, and already am very impressed and hopeful. A question: My evening cortisol number (blood test taken at 5:00pm) was 1.2. They doctor that told me the results said that I fit into severe adrenal fatigue, also including my symptoms. Is 1.2 a low number for cortisol?